PRAVMIR. 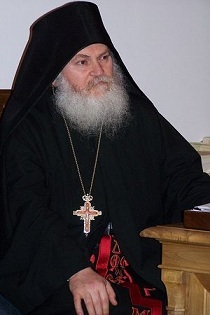 June 21, 2012, Archimandrite Ephraim of Vatopedi has commented for the first time on his acquittal, agionoros.ru reports. “Eighty per cent of the charges against us have already been dropped. It will soon become obvious that the remaining twenty percent are nothing more than libel and conjecture. The Lord and the Most Holy Theotokos have helped the truth to shine forth. We were unfairly accused, maligned, and badly treated. But that is not important. I believe that the truth will prevail. The Theotokos will help us,” he said in an interview given to the Athenian newspaper Eleftheri Ora.